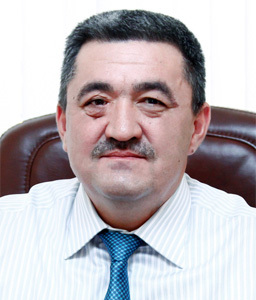 BISHKEK (24.kg) — Albek Ibraimov was dismissed from the post of mayor of Bishkek. The Government’s Executive Office informed 24.kg news agency. The Prime Minister Mukhammedkaly Abylgaziev signed the corresponding decree today. On July 13, deputies of the Bishkek City Council passed a no confidence motion against the mayor of the city at an extraordinary session. At least 40 deputies voted for it. Formal reason for the resignation of Albek Ibraimov was the arrest of the First Vice Mayor Renat Makenov. The State Committee for National security detained him on July 7 as part of the investigation of the criminal case on the illegal allocation of land. The Pervomaisky District Court of Bishkek chose a preventive measure for Renat Makenov in form of detention in the pre-trial detention centre of SCNS until the end of the investigation. Today, SCNS officers detained Albek Ibraimov, the former mayor of Bishkek, within the criminal case on embezzlement in Dastan TNC.